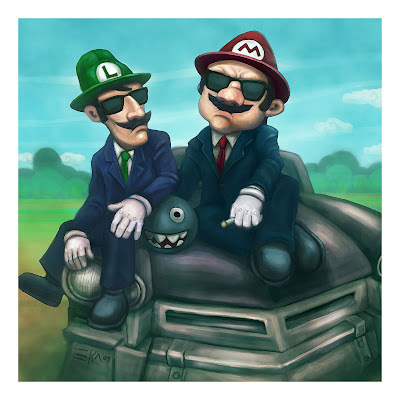 A mash up of Mario Bros and the Blues Brothers. When I started imagining these guys together it just made a lot of sense. A stylized surreal action adventure with Mario kart races on an epic quest to raise gold coins to save the Mushroom kingdom orphans. It could easily work as an animated movie or an action adventure game.